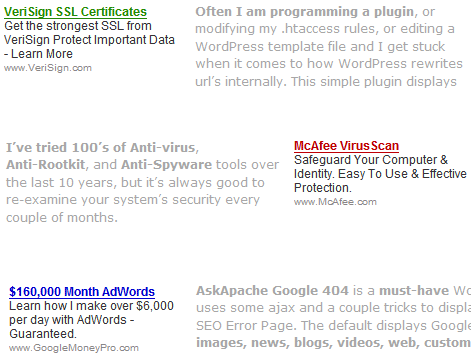 Optimizing the position, color, and size of AdSense Ads is confusing. The REAL way to optimize AdSense for clicks and revenue is using variations and measuring the results. Surf this site for examples. For this article we will be using these 5 channels to measure our Ads performance (create channels). To keep things simple, we will only be dealing with 1 Ad. On this site, it is the Ad displayed at the top of each single post. So for my site, I edited the single.php WordPress Theme File so that if the post ID is an even number the position is on the left, and if the post ID is an odd number the Ad position is on the right. Here is the code to determine if its odd or even. The color of the Ad is randomly generated using this code. I let this code run for at least 7 days, then I take a look at my Google AdSense Results for the last 7 days and it tells me which position (left or right) received the most clicks, and also which color (red, green, and blue) performs the best. Now I can only display the Ads using the optimized position and color, or I can continue to test different color schemes and positions.